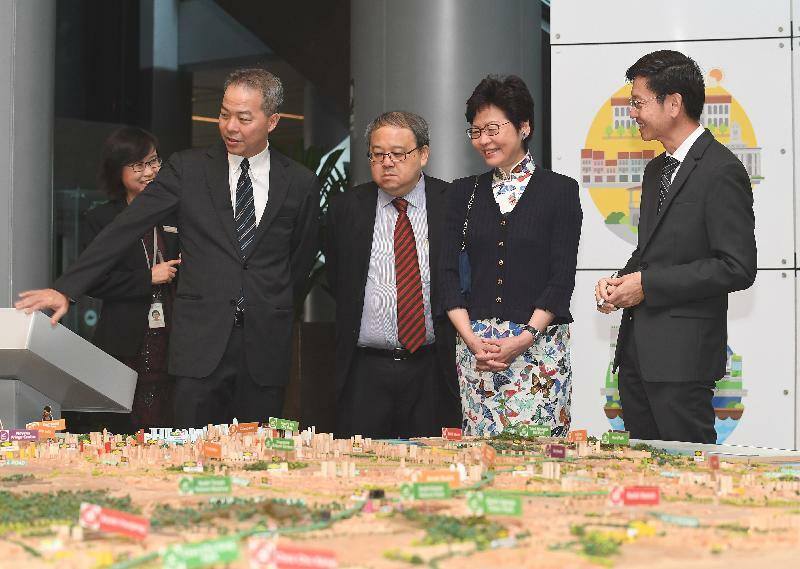 The Chief Executive, Mrs Carrie Lam, visited the Singapore Urban Redevelopment Authority (URA) in the morning today (August 3). 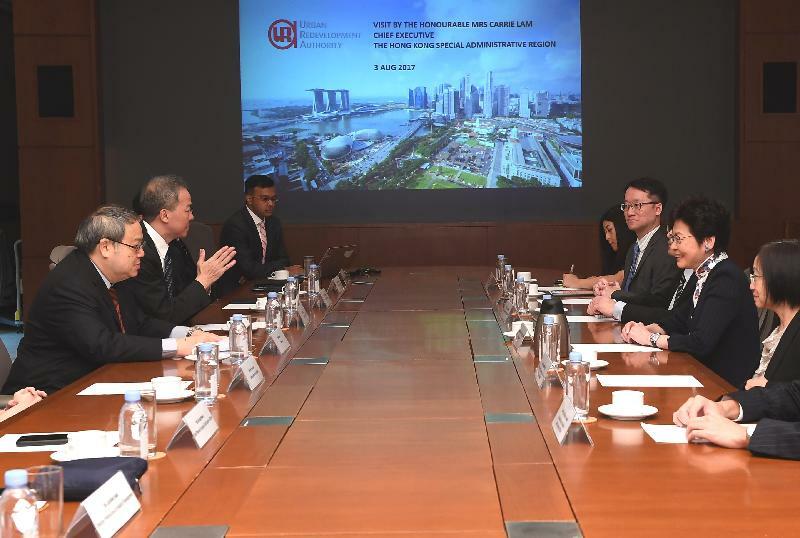 The Chairman of the Singapore URA, Mr Peter Ho Hak Ean, introduced to her the planning concepts for the Jurong Lake District which would be developed as the second central business district in Singapore. They also shared experience in the planning of new development districts and urban renewal. 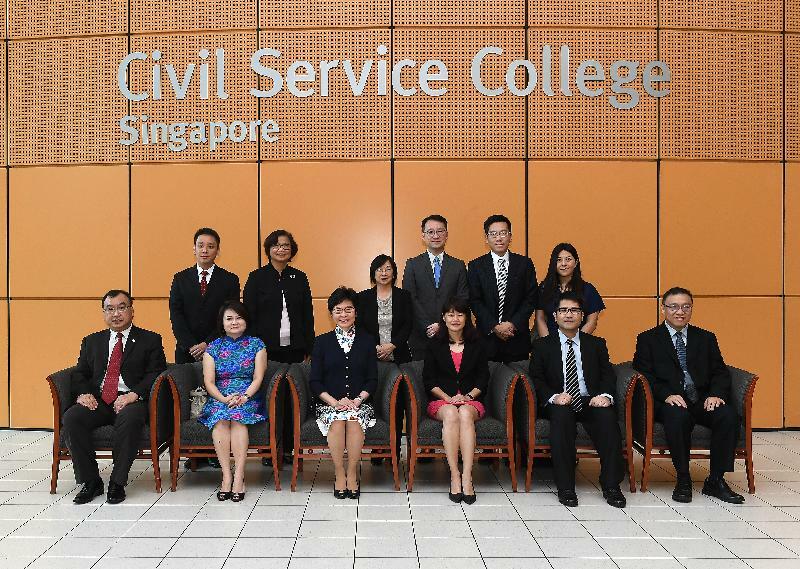 Mrs Lam then visited the Civil Service College to learn about its operation. 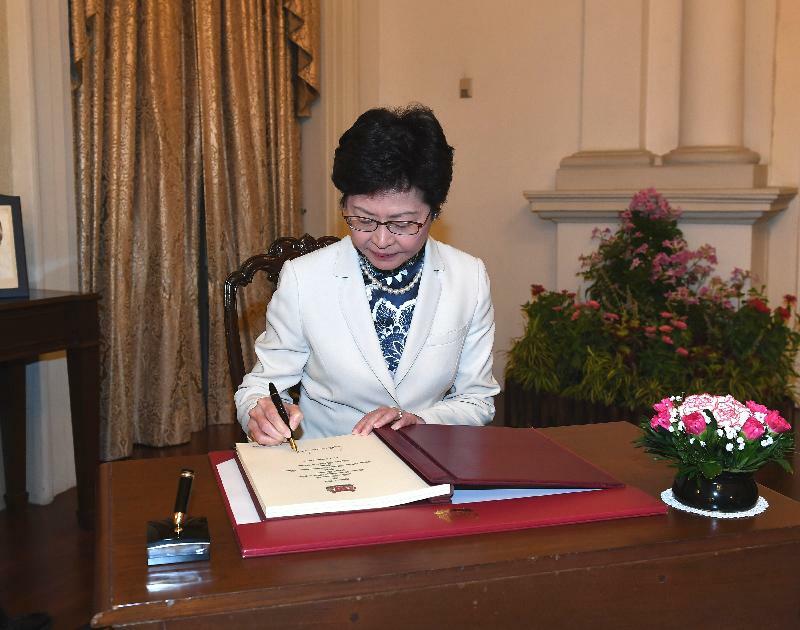 Noting that she also planned to set up a similar college in Hong Kong to strengthen the training for civil servants in the face of the ever-changing needs of the community, she hoped there would be more exchanges between the Hong Kong Special Administrative Region (HKSAR) Government and the Civil Service College in future. 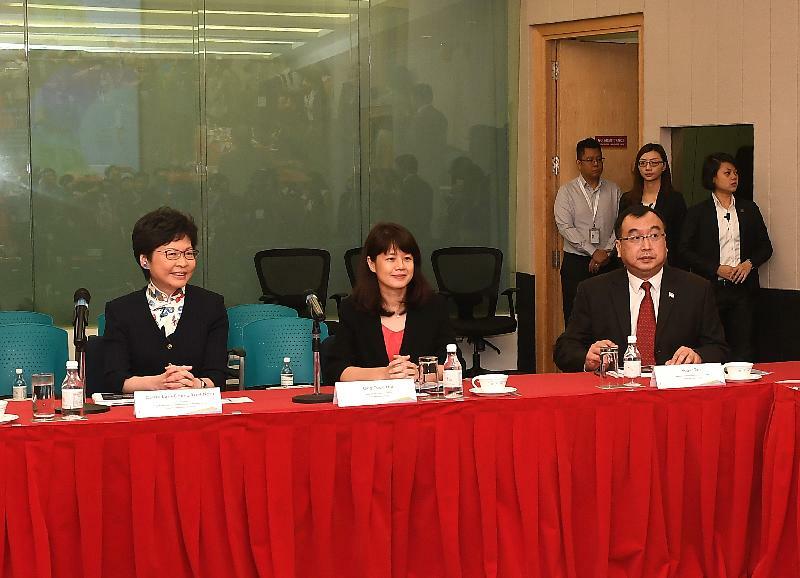 Mrs Lam attended a lunch hosted by the Deputy Prime Minister and Coordinating Minister for National Security of Singapore, Mr Teo Chee Hean, at which Mrs Lam expressed gratitude for Singapore's support for the Free Trade Agreement between Hong Kong and the Association of Southeast Asian Nations (ASEAN) and suggested enhancing exchanges between civil servants in the two places. They also exchanged views on topics including higher education, housing and land supply. 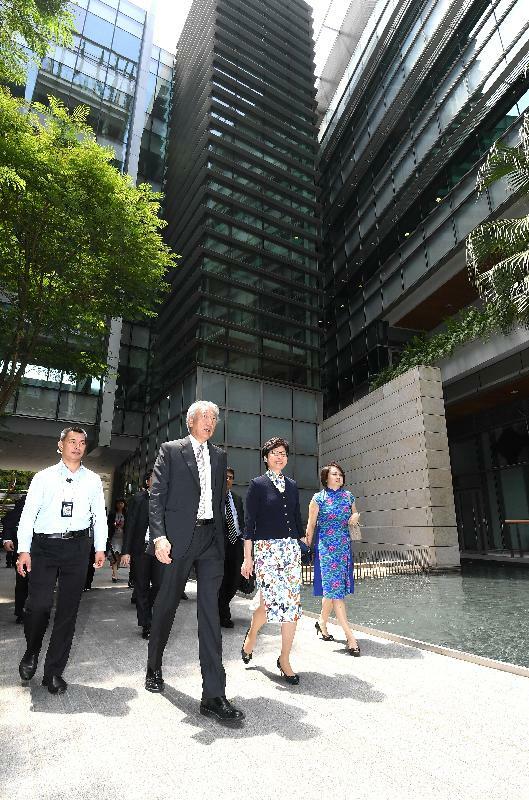 In the afternoon, Mrs Lam toured the GovTech Hive which is a dedicated centre for a group of designers, engineers and data scientists to work with other government agencies and industry players to create better digital services and apps for Singaporeans. 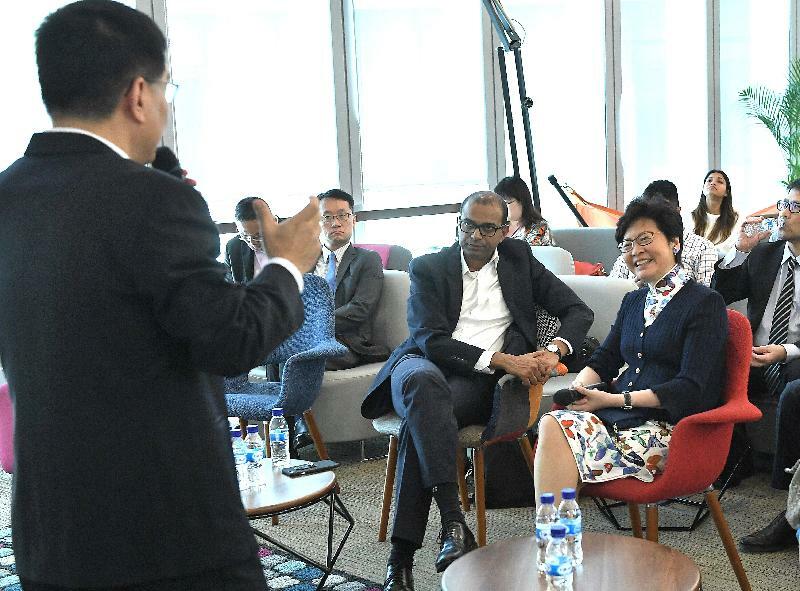 Mrs Lam applauded the Singaporean Government's effort to improve public services through the establishment of GovTech Hive and said that the HKSAR Government also planned to use technology to enhance the quality of public services. 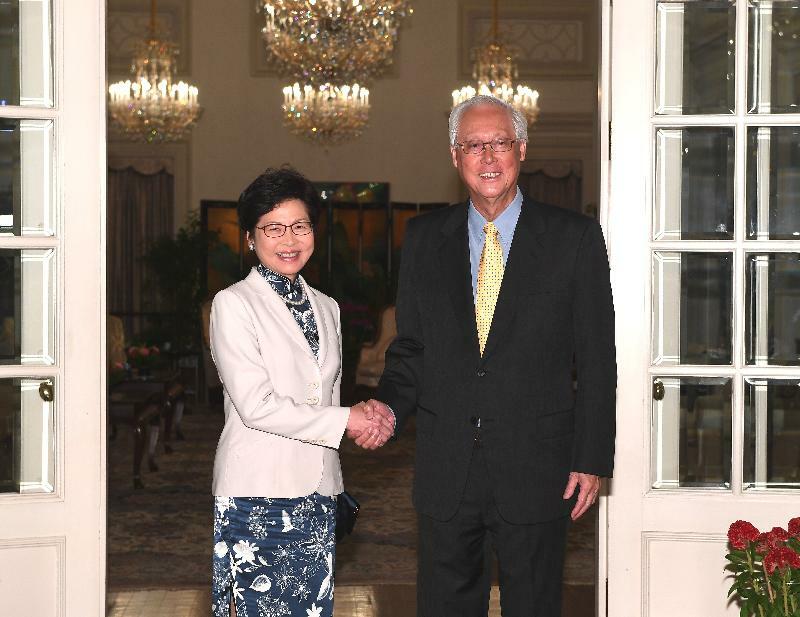 Mrs Lam then called on the Emeritus Senior Minister, Mr Goh Chok Tong and briefed him on the direction and her vision for Hong Kong's future development. 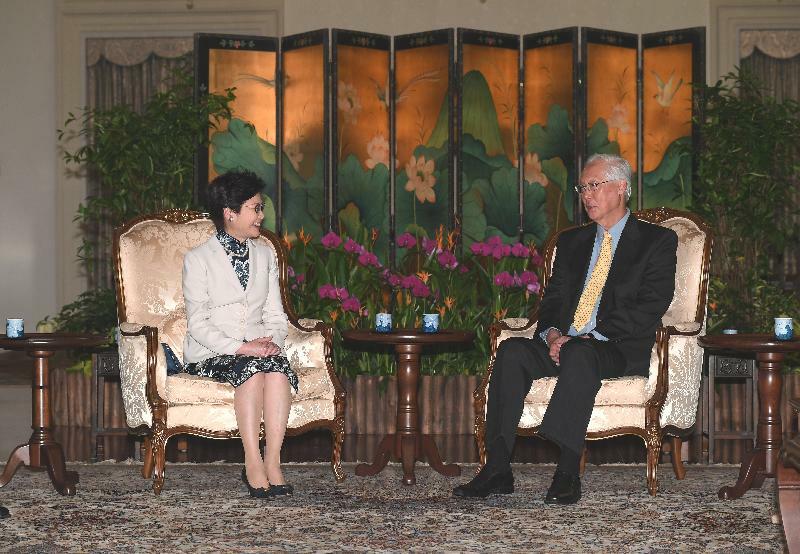 Before leaving Singapore, Mrs Lam called on the Prime Minister, Mr Lee Hsien Loong. 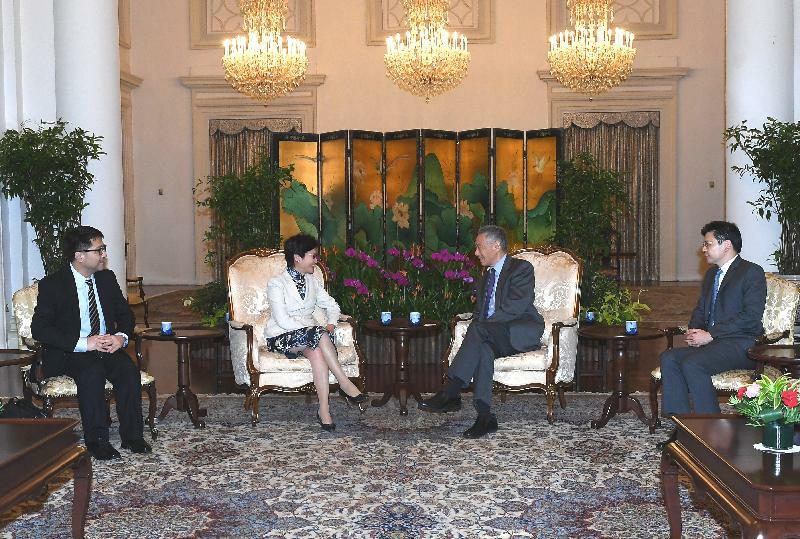 She remarked that Hong Kong would leverage its advantages under "one country, two systems" to promote economic developments. She hoped that ties with the ASEAN countries, including Singapore, would be strengthened to reap the benefits available to districts and countries along the Belt and Road. 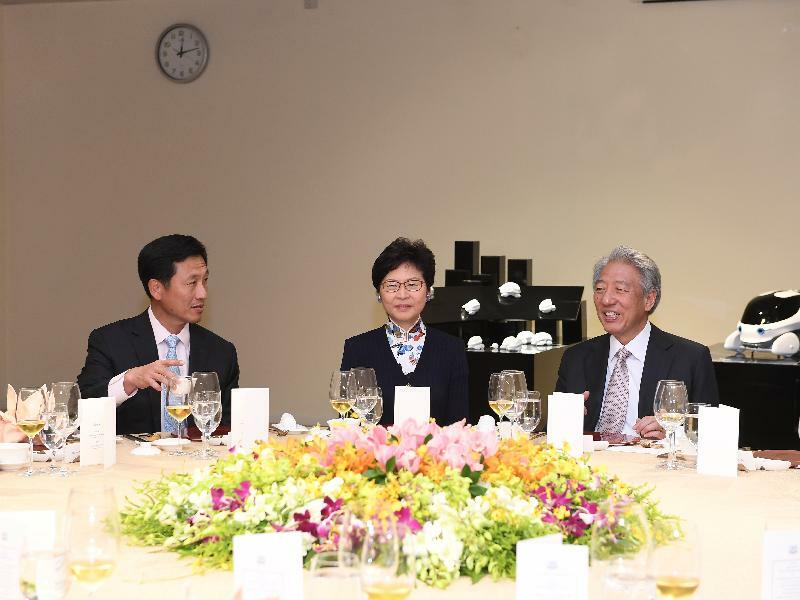 Mr Lee Hsien Loong and Mrs Lee hosted a dinner for Mrs Lam, which Dr Lam Siu-por also attended. Mrs Lam departed for Bangkok, Thailand tonight and will start her visit to Bangkok tomorrow.